We are the Dierkower Elche, the rugby team in Rostock founded in 1993. Every Monday and Thursday our men’s and women’s team are training at the „Sportpark Gehlsdorf“ (Steuerbordstraße 7, 18147 Rostock) from 6 to 8 pm. We currently play in the Verbandsliga Nord, 4th German devision. 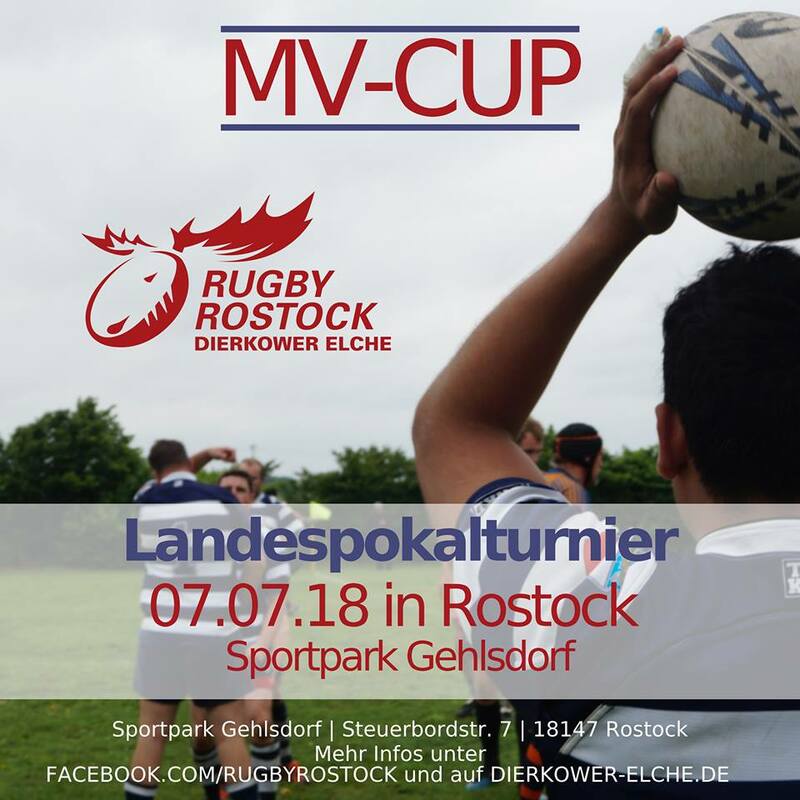 Every August we host the Rugby 10s tournament Hanse-Masters at the Hanse Sail weekend – a big marine and sailing festival with more than 1 million guests in Rostock. 2018 it will be on the 11th August. Oldies and newbies, men and women are welcome anytime. For further information or any questions or requests feel free to contact us.